There are 293 items available. Please enter a number less than or equal to 293. 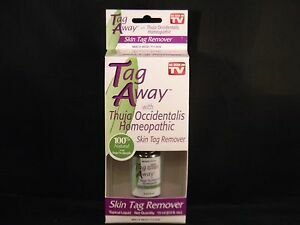 "About the same results as using plain water"
I have ben using Tag Away on two skin tags for approximately eight weeks now. One tag is located on my ear and the other is located on my inner thigh. I've applied the product in strict accordance with the instructions on the bottle. There has been no change whatsoever in the tags. I'm disappointed in the results and consider it a waste of my time and money. I am kinda neutral on this, my husband says that he tried it and it didn't work for him at all. I am still testing it. I did notice that is has a horrible smell, reminds me of turpentine. I felt a slight burning sensation when using it. I will update my review after a couple weeks of using it. seems it would take a year or more for this stuff to make any difference. 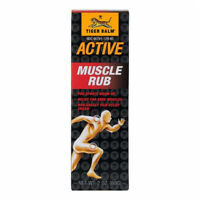 Faithfully applied 3 times a day as the label says, absolutely NO visible changes after a month. You'd hope to see at least a LITTLE change. Two months of use. No difference whatsoever. I even apply a little extra. No skin irritation. Nothing. I will keep going with the treatments for a third month, but that will be it.